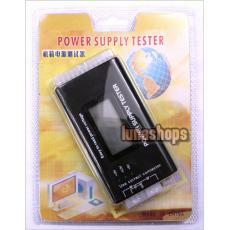 * The SD power supply tester is a robust voltage, tester for PC-power supply, ATX . BTX and ITX compliant, power supplies can be tested. LCD's indicate the status of voltage .The PC / SPS is suitable for the ambitious hobby user, as well as for a quick functional check in specialized trade. 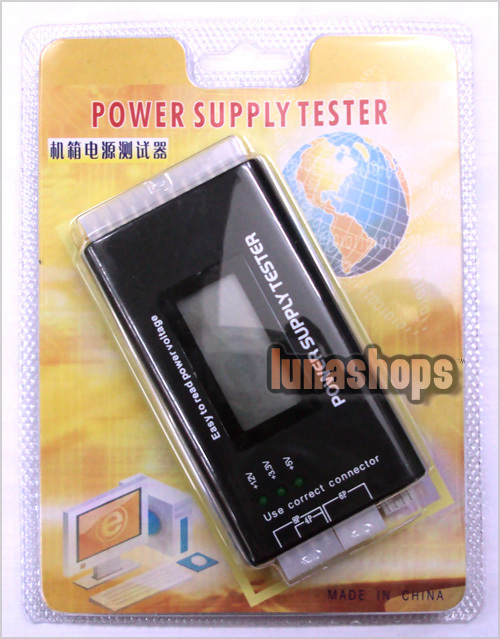 * Plug power supply 24 PIN and P4 , P6 or P8 into the corresponding jack of the power test suite. 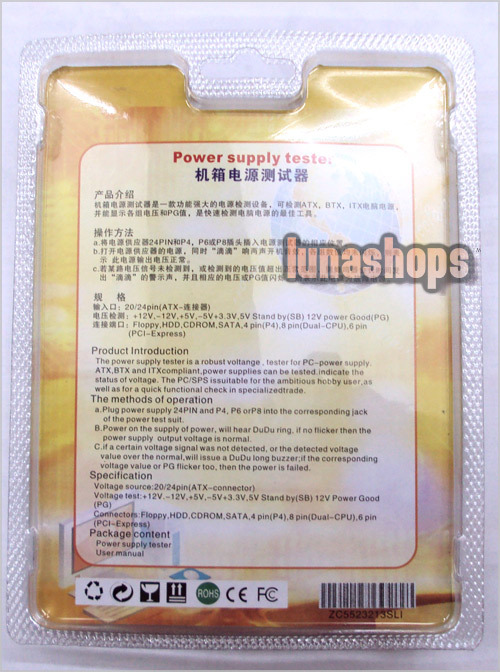 * Power on the supply of power, will hear "DuDu" ring , if no flicker then the power supply output voltage is normal. * If a certain voltage signal was not detected, or the detected voltage value over the normal, will issue a "DuDu" long buzzer ; if the corresponding voltage value or PG flicker too, then the power is failed. * Voltage source : 20/24 pin ( ATX - connector ). * Voltage test : +12V , -12V , +5V , -5V , +3.3V , +5V Stand by (SB) 12V power Good ( PG ). * Connectors : Floppy, HDD , CDROM , SATA , 4pin ( P4 ) , 8pin ( Dual-CPU ) , 6pin ( PCI-Express ).